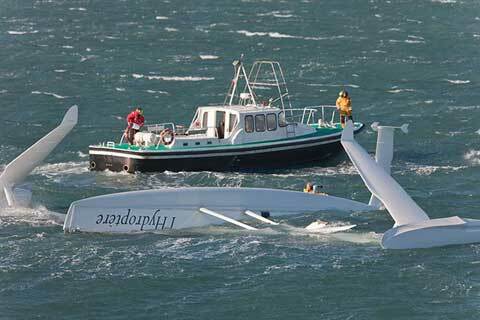 The French L'Hydroptere, a large hydrofoil trimaran built to challenge the sailboat speed record, proved it is capable of setting a record. On December 20 or 21, 2008 it reached 61 knots before it flipped. 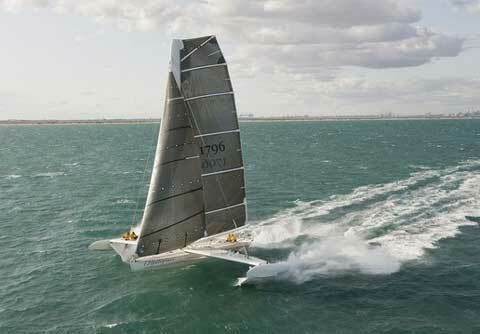 In 2008, Alain Thebault's flying trimaran held the record for being the fastest sailing craft over one nautical mile, with an average speed of 43.09 knots.